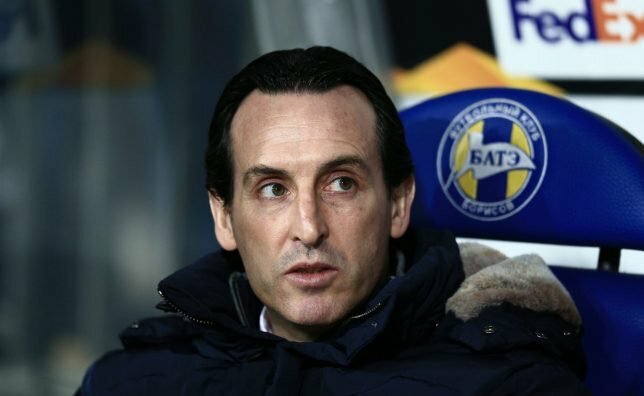 Arsenal manager, Unai Emery, has said BATE beat Arsenal on Thursday night, because they were defensively organized and seized their opportunity to score. The Belarus club claimed a shock 1-0 win over the Gunners, in the first leg of their Europa League round of 32 tie at the Borisov Arena. Speaking after the game, Emery also shut down questions about Mesut Ozil’s absence. Ozil was left behind in London, despite returning to full training. “Today, I think the protagonists are the players who are here. “In respect to the players for this competition is to speak out the players who are ready to play today,” Emery told reporters when asked about Ozil. When asked if Arsenal miss the German’s creativity after the defeat, Emery said: “Every player is okay to play. Today those that were here, we can win with them and we deserved that. “Last week we won and we played with the same players. “For me, today there was no difference to the performance. We deserved to win but didn’t get the result. “They were very organised defensively and they found the moment in the game.